Post by Oxford University Department for Continuing Education. 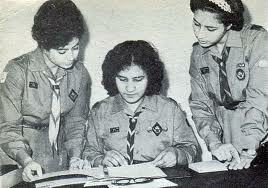 Volunteering for Girl Scout Series and Events: This is a condensed version of Girl Scouting 101. In just 30 minutes adults will discover the essence of Girl Scouts. Girl Scout Daisy Self-Study: this is a course for leaders of kindergarten and first grade girls. Adults who would like to volunteer for a worthy cause can get involved in the adult education programs to become leaders in the Girls Scout of the USA movement. According to USA.gov, Americans are acculturated to be “lifelong learners.” Americans are constantly improving their skills with ongoing educational opportunities, even if it means getting back behind school desks. The message drawn from this on-line educational site is that even new immigrants to the USA should begin to understand the importance of continuing education. The web-site offers free programming designed to improve students’ English skills, including reading, writing, speaking and other life skills. The website also offers information to help guide users to educational programming for adults in their particular geographic area. 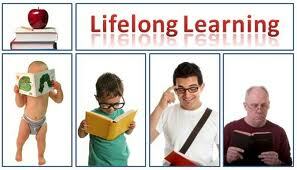 The website also offers a list of literacy programs available from the Office of Vocational and Adult Education. In addition the office supplies a publication called “Teaching Adults to Read,” which can be helpful to educators dealing with the adult community. 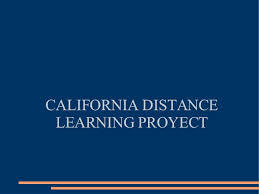 The California Distance Learning Project, CDLP, is a web-based project designed to get adults better educated so that they can compete better in the work force. This creative and ingenious program has no need for classroom furniture, as it is entirely based on continuing education over the internet. Prospective students can choose from a large array of subjects which they would like to learn more about, including Law and Government, Family, Money, and many others. The student picks the subject that interests him, and is brought to a page with a list of many articles; some of the articles also include videos. After reading a shortened version of a story the student then continues onto the original version. After reading this more complex version, the student continues to the next page, where he is guided to learn new words from the story. Then there is a matching game with the difficult vocabulary words from the story, where the student has to match the words with their meaning. Next is a set of questions which test for the students’ comprehension level. Finally the student is asked to write an answer to a complex question based on the student’s understanding of the article. It is clear that if a student goes through many of the articles, there understanding of English will rise substantially. Learn about the concept of adult learning (and teaching) in less than 3 minutes! UCLA is “deeply committed to the advancement and enrichment of Los Angeles and the Southern California region.” The programs it offers work to “help individuals grow” in a variety of areas, such as changing careers, skill development or even starting to explore a new interest. This program has the same philosophy as its institute – UCLA – “Never stop learning.” Whether adult students are sitting at banquet tables, individual tables or in lecture halls, they learn a great deal through these programs. 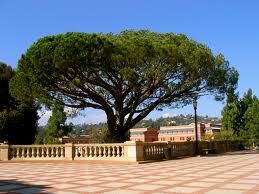 Called the UCLA Extension, this continuing education program is one of America’s most expansive of its kind. It is customized to the needs of those who are already in the workforce and/or who want to continue their education, offering classes during the day, evening, weekend and even online. The UCLA Writing Project is one example of this. 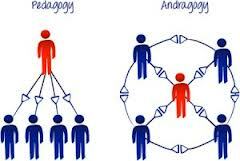 It works with teachers Kindergarten through University of all disciplines on writing teaching since 1977. The UCLA California Reading and Literature Project was designed to offer programs to teach instruction in English Language Arts for all students, concentrating on English Learners and developing readers through top quality professional development. Taking a different route there is the UCLA Mathematics Project which is one element of a statewide program that seeks to positively impact math teachers and their students while improving the skill sets of K-12 math teachers. 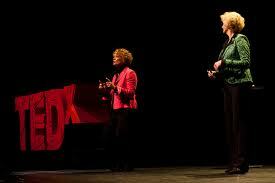 If you haven’t ever heard a TED talk, you are missing out and it’s time to join in the fun. As an adult learner, this is a location where you can learn about almost any subject from a dynamic, highly qualified speaker. TED (http://www.ted.com/pages/about) is a nonprofit that started in 1984 and that is devoted to Ideas Worth Spreading. They are called TED because they started out by bringing together people from three specific areas – Technology, Entertainment and Design. They have two annual conferences that are called the TED Conference and TEDGlobal and they have award-winning Ted Talks video locations a TED Fellows program and more. The idea is that each person who gives a TED talk is given 18 minutes or less and is challenged to give “the talk of their lives.” These talks enhance the learner’s understanding of a subject matter and are also incredibly inspiring. Many of the TED talks can be found on itunes (https://itunes.apple.com/us/podcast/tedtalks-education/id470623037?mt=2) and can be heard and enjoyed completely for free. Among other things, one of the beauties of the TED talks is that they are short. Pull up some folding tables and listen for a few minutes on school chairs. You can commit to listening to one TED talk a day as an adult learner and to enhancing your understanding of all sorts of topics in this brief amount of time. TED is definitely worth a visit. NBC GBBS | Powered by Mantra & WordPress.